Ahead of the PSX this weekend, Sony and Naughty Dog revealed at The Games Awards a new cinematic clip from Uncharted 4: A Thief's End that shows Nathan meeting a new and unfriendly character. this looks insanely impressive. and real-time o_O this is the graphics jump i wanted from this gen. I assume you're saying, "WTF?!" Because your mind is boggled that a white woman could voice a black character, especially since the black character doesn't have a stereotypical accent and isn't constantly chewing gum and snapping her fingers. You do know that Kratos is voiced by a black guy? Probably not. Well, in the world of voice acting, the color of your skin doesn't matter as much as the quality of your performance. As life should be. Why do you think this is insanely impressive? It looks great, but insanely impressive? Because it does? Note that this is 100% real-time. Name any current or upcoming console game that looks this impressive. No, wtf because i thought for sure Merle Dandridge was playing Nadine. Is she replaced or she playing another character? Because he/she is a fanatic sony fanboy. he is a fanboy just because he finds the game impressive !? stop it .. he just happens to have liked a game you do not care about ! IMO real-time cutscenes in Rise of the TR look much more impressive and more natural than this by a safe distance. Look, I can understand that Uncharted isn't everyone's cup of tea. I really do. But anyone who thinks this doesn't look impressive is just straight up trolling. And trolls just pull the fanboy card. 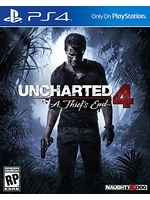 Yes and in your world, Tomb Raider Underworld is probably better looking than Uncharted 2 "by a safe distance" too. But seriously, just like with these 2 games I mentioned, the difference with ROTTR and U4 is a console GENERATION. But please don't take my word for it which is your tactic. If you've read your friends' comments then you understand that, He/She downplay any games except sony games. How you can compare a bullshot with a real-time image!? 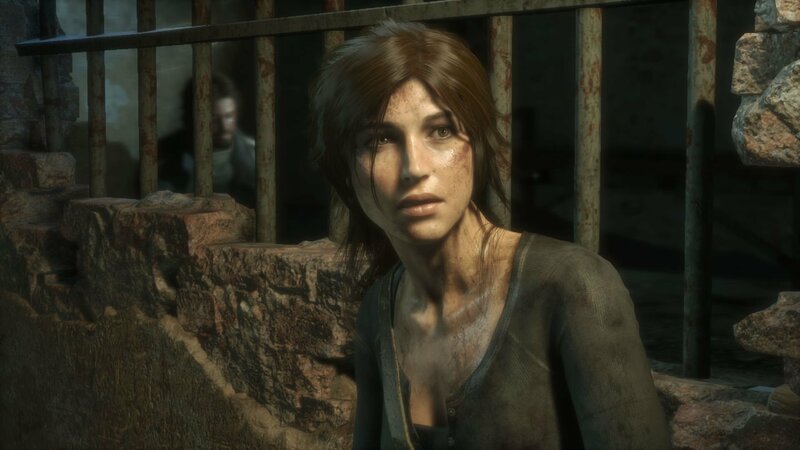 Is the Tomb Raider image a bullshot? Name any current or upcoming console game that looks this impressive. aaand it starts again, it's debatable. for cut-scenes you could narrow the same tech down to 4 games. particularly i thought Assassin's creed Unity to this day nailed different ethnics pretty darn realistically. UC4 uses subsurface scattering and blendshapes for it's face tech which have been in other games. Guys dont forget The Order 1886. He has never said anything against anyone or any X1 title,he just happens to like something and you have no right to insult people's interests. and please enough with the jealousy and the impudence! okay, ROTTR is an impressive game and I really like it. same goes for Quantum Break and Order 1886. but for god's sake ROTTR is not even going to be an X1 exclusive anymore! not everyone has to like what you like or play ! I guess, fanboyism just never ends. Which is the"bullshot"? I personally think they both look pretty fantastic for a real time image capture. U4's facial animation, however, is what separates the two, and it's what really gives it an overall, almost CG feel to how it looks. In saying that, Quantum Break equally has an impressive facial animation rigging, and it too gives off that almost pre rendered vibe. People love to argue the toss over which looks better, but that's pointless and somewhat fanboyish when they both look astonishing on their own merits. Fair enough. I'm just seeing all of this backlash, calling this "blackface". No, voice actors. Unless she was screaming, "lawdy lawdy, I's don't kno nuttin' bout birthin' no babies!" it's fine. Voice actors. 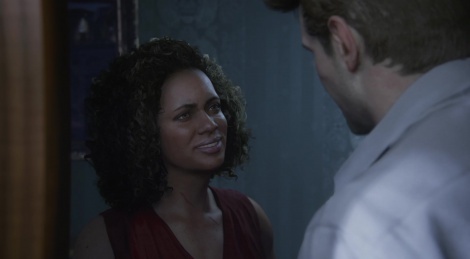 I think it should be more of a question of who's appearance did Naughty Dog rip off...I mean borrow..sorry...base on for her?